Generations Resorts by Karisma are all-suite, all-butler beachfront destinations perfect for couples, wedding parties and families. Savor a family-oriented Gourmet Inclusive® experience that provides comfort and convenience without sacrificing luxury. Services available include 24-hour in-room dining, complimentary nanny services, and special baby and child amenities. 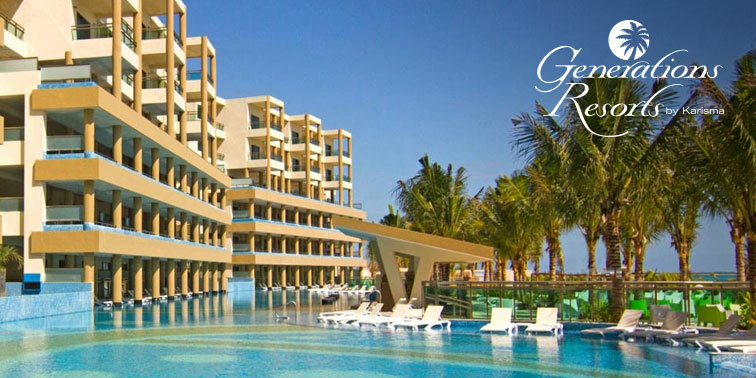 Guests 16 and over can enjoy exchange privileges at adjoining El Dorado resorts. 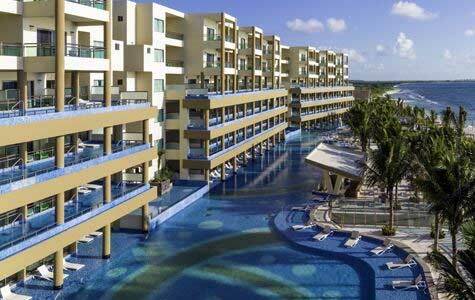 Azul Beach Resorts by Karisma not only take the hassle out of family vacations, they elevate them. Everything from strollers and cribs to bottle warmers and Gerber baby food are provided. Kids and toddlers will enjoy Fisher Price toys in your suite and at the Azulitos Play House, where they play together, listen to stories and sing songs. Older kids can make new friends in the My Gym Children’s Fitness Center, Arts and Crafts Room and during a variety of other daily activities. Premier accommodations on secluded stretch of Caribbean beach. At this brand-new resort, couples and families can all savor a Gourmet Inclusive experience. 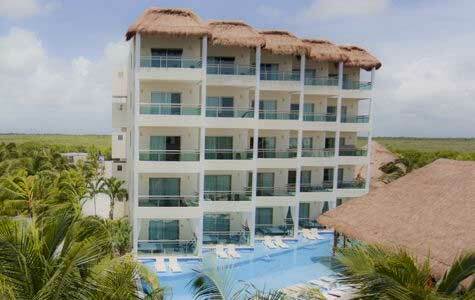 Contemporary Caribbean suites look out over lush tropical gardens or the white sand and clear waters of Maroma Beach.